The SM-10T fixed blade knife from US custom knife maker Sal Manaro is based on a design that Sal originally developed for a SWAT officer. The design is rugged, strong, tactical, and reliable. The whopping 6.7 mm thick construction of the blade gives you a piece of mind that you can count on this knife for anything and everything. The single piece of 440C stainless steel is hollow ground along the main edge length to ensure a reasonably sharp cutting edge and flat ground near the tip to provide maximum strength. 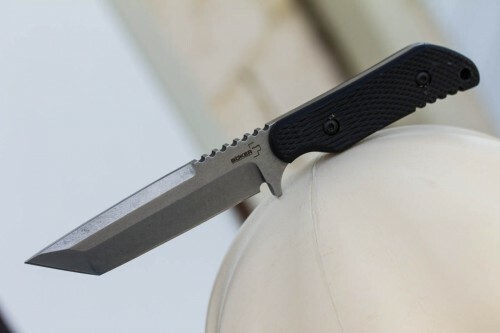 The textured G10 scales, adequate jimping, and great finger guard all ensure a firm grip and it includes a rugged kydex sheath with belt adapter. 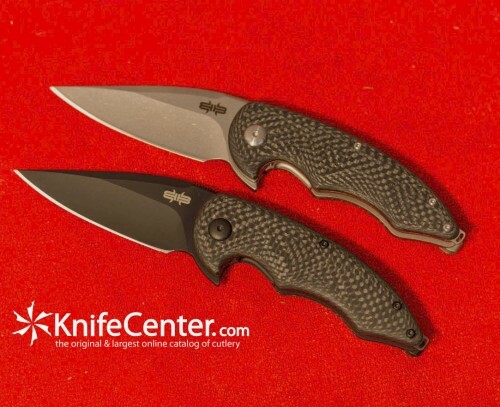 See it at www.knifecenter.com.